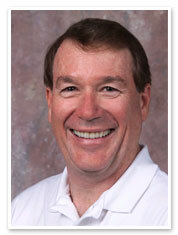 Terry Rock has been with CenterPoint Ventures since its inception in 1996. Terry serves on the boards of AppTrigger, GlobeRanger, Nuventix, STARTech and Voyence. In addition, Terry co-founded the STARTech Technology Accelerator in the Telecom Corridor near Dallas and is a member of the investment committee of the STARTech Seed Funds I and II. Terry is also a member of UTD’s School of Management Advisory Council. Every year, Terry sponsors a speaker’s series and scholarship program at the South Dakota School of Mines and Technology entitled “Engineers Make Great Entrepreneurs”. Terry spent 12 years with Texas Instruments before joining Convex as a start-up. He later became President of Convex. When Convex was sold to Hewlett-Packard Company, Terry became one of the founding members of CenterPoint Ventures. Terry has a B.S. degree in Mechanical Engineering from the South Dakota School of Mines and Technology.